COMMANDS (AUS) (Bay 1996-Stud 2000). 4 wins-3 at 2, STC Missile S., Gr.3. Leading Aust. Sire of Winners 3 times. Sire of 1315 rnrs, 966 wnrs, 78 SW, inc. Appearance (VRC Myer Classic, Gr.1), Melody Belle, Epaulette, Purple, Undue, Paratroopers, Holler, Commanding Jewel, Skilled, Russeting, Erewhon, Rain Affair, First Command, El Cambio, Catalonia - Vilanova (Aust. ), Lamasery, Court Command, Paximadia, Soul, Rommel, Gregers, Ambidexter, etc. Captain Harry (g. by Commands). 2 wins. See below. SANDBAR (Snitzel). 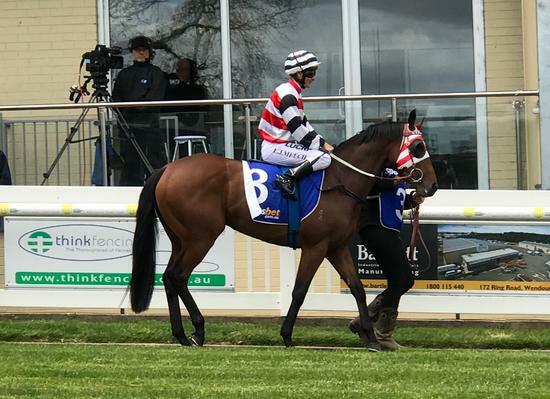 3 wins-2 at 2-at 1100m, 1200m, A$424,270, to 2018-19, ATC Lonhro P., L, Rosebud H., L, Turf Club 2YO H., 2d ATC Roman Consul S., Gr.2, Pago Pago S., Gr.3, 4th ATC Golden Rose S., Gr.1. Mr Light Blue (Fantastic Light). 8 wins from 1600m to 2200m, A$329,650, BRC Wallace Bishop H., Coca-Cola Amatil H., Sky Racing H., GCTC Party in the Paddock Tickets Online P., Ladies Day H., 2d BRC Grand Prix S., Gr.3, Channel Seven H., Hardings H., 3d BRC Brisbane H., L, Grinders Coffee H., Burton & Ryan Property Agents H., Hanrick Curren Accountants H., Bundaberg Distilling Company H., Coca Cola Amatil H., Tim Ryan Go Hard or Go Home H., 4th Ipswich Cup, L.
Queenera. 4 wins. See above. Bogie. 3 wins to 1400m, ATC McGrath Estate Agents H., 2d ATC Hyland Race Colours H.
Roth da Toff. 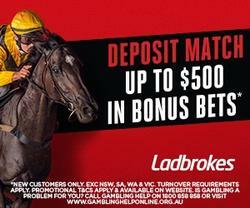 2 wins at 1200m, 1500m, 2d WATC Weddings at Ascot H., 3d WATC DP&LK Patten H.
Goliath. Winner at 1550m in 2018-19 in Aust. Whodunnit. 4 wins to 1400m, A$84,370, to 2018-19, SCTC Skyracing.com.au H., 2d GCTC Skypoint Observation Deck H., 3d SCTC Caloundra Produce H.
Evens. 4 wins from 1200m to 1600m, A$95,190, SAJC Guy Sebastian H., MVRC Sportingbet H., 2d MRC Ricoh P., 3d MRC Thomas North H., Melbourne Legacy Xmas H.
DANISH SILVER (Silvano). 7 wins from 1200m to 2000m, R604,595, Greyville Michaelmas H., L, Clairwood Soccer 10 H., Greyville PSL Soccer 4 H., CC & A Insurance Brokers H., 2d Clairwood Easter H., L, 3d Clairwood Easter H., L-twice, 4th Greyville Betting World 1900, Gr.2, Schweppes H., Gr.3, Clairwood Christmas H., Gr.3, Scottsville Michael Roberts H., L.
BEAUTY SCHOOL (Royal Academy). 2 wins-1 at 2-at 1000m, 1050m, A$111,200, MRC Blue Diamond Preview (f), L, SAJC Polytech H., 2d VRC Ottawa S., L, SAJC Patrick's Residential Developments H., 3d MRC Debutant S., L. Producer. Come to Order (Naturalism). 12 wins-1 at 2-from 1200m to 1750m, A$91,840, VATC Wheatear H., 2d VRC Moomba P., L, 3d VATC New Statesman H., Erin H., Computershare Registry H., QTC Rough Habit Bar H., Lady Elwes H.
MR UNFORGETTABLE (Rubiton). 7 wins to 1500m, A$500,010, STC Winter S., L, Kraft Foods H., GCTC Queensland Events Magic Millions P., ATC Bungalow 8 H., AJC Lactate Pro H., International Passport H., Convention Centre H., 2d BTC Classic, Gr.3, 3d STC Winter S., L, Scone Cup, L.
Race Record: 21 Starts 2-4-3 A$97,095. 2 wins at 1200m, 1400m, A$97,095, in 2017-18, 2d SAJC Ubet H., 3d Ballarat TC VOBIS Gold Eureka Stockade.